SlickText.com, a leader in the SMS marketing space has just announced their plans for integrating an API with their text messaging platform. SMS marketing, also known as text message marketing, allows businesses and organizations to communicate mobile coupons, specials, alerts, event reminders and more via highly targeted, opt-in text messages. Because 98% of all text messages are read, SMS marketing is quickly becoming an extremely popular stream for marketers to communicate to their customers. Here’s how it works. A business reserves a “keyword” that their customers can text to a shortcode (short phone number). This keyword should be relatively short and reflective of the business or organization. Shortly after the text is sent, customer’s will receive a customized auto-reply back thanking them for joining. They are also then subscribed to that business’s SMS marketing list. Naturally, the more customers who subscribe, the larger that list grows. When the time is right, that business can then send out a mobile coupon specifically to those customers who have opted in to receive those text messages. It’s one of the most inexpensive and effective new ways that companies are utilizing to drive targeted traffic into their stores. The API (Application Programming Interface), is a way for outside programmers to take advantage of the Slick Text system. There’s a defined a set of rules which, when followed, will give programmers a consistent way to integrate SlickText functionality right into their own products. This allows programmers and other companies continue to do what they do best while relying on Slick Text’s powerful system to handle the text messaging for them. Co-founder and CTO, Ryan Kinal stated, “This new functionality will take Slick Text to the next level by allowing us to give text messaging functionality to many other companies out there”. 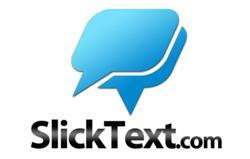 Slick Text plans to release their SMS marketing API at the beginning of the 3rd quarter of 2013.